What’s better than one guitar? 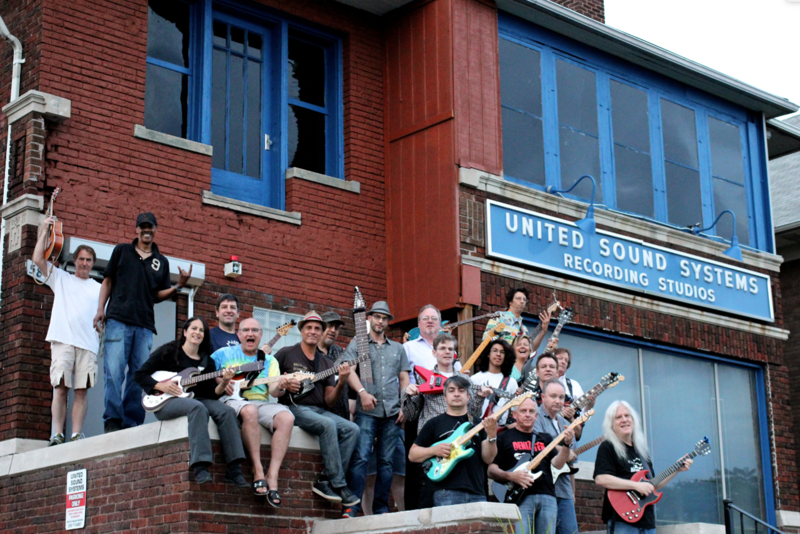 Try 18 guitar-wielding, roving musicians parading through metro Detroit. Founded by Detroit native and New York-based guitarist and composer Patrick Grant, Tilted Axes is a culmination of Grant’s music manifesto. Having worked with composers John Cage and Philip Glass, along with Robert Fripp as part of the King Crimson leader’s Guitar Circle project, Grant’s Tilted Axes promises a guitar-based orchestra with plenty of rock, noise, and a heavy dose of psychedelia. Grant will celebrate Tilted Axes’ return to Detroit with a trio of public performances starting at Third Man Records, The Henry Ford Museum, and will join the tenth iteration of the Marche du Nain Rouge.